We have optimized Fluxiom to work great on the iPad. Functionality is basically the same as on your desktop with one difference: Selecting Files. If you’re on a PC/Mac we’re sure you love the rubberband select and all the desktop like features Fluxiom offers to select files. 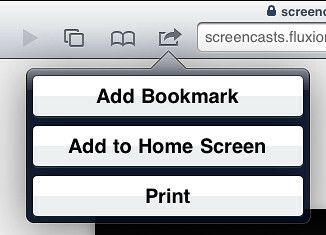 For the iPad we integrated a toggle select so you can select multiple individual files. Tap a file to select it, just tap again to deselect. 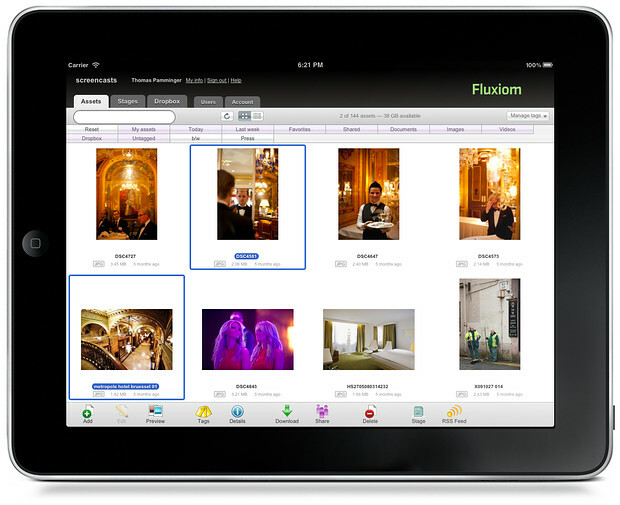 Here are some tips that will help you to access Fluxiom even quicker on your iPad. When signing in to Fluxiom, you are given the option to check Remember me on this computer, so the next time you open Fluxiom on this device, you are not required to sign in again. As long as you don’t explicitly sign out, Fluxiom will remember you.